Guests staying at Sunset Farm Cabins will enjoy a friendly atmosphere along with picturesque views. The property sits on 5.5 acres of green land in the mountains. The common area throughout the cabins is well manicured for guest’s enjoyment. 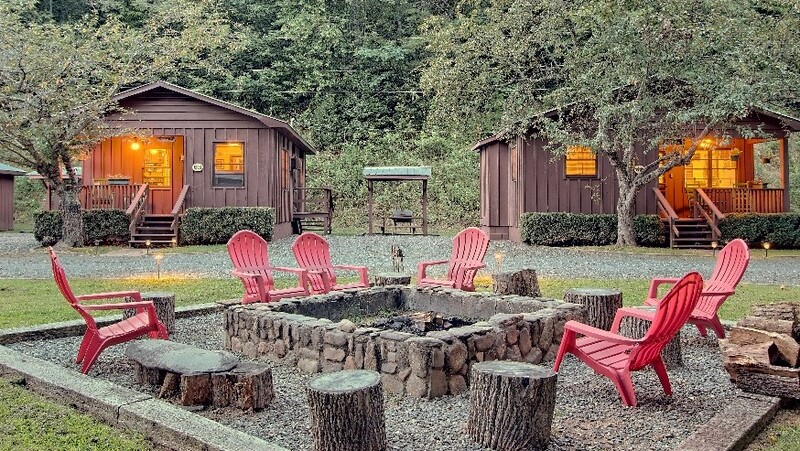 All guests will enjoy the mountain views, huge fire pit, 2 hot tubs, badminton, horseshoes, and relaxing at the comfortable picnic tables and chairs near the grass. Please see our Amenities Page under Guest Information to see a list of amenities provided by the cabins and suggestions as to what you may want to bring with you.